You should receive a confirmation email from Simply Shopping NZ Ltd and/or from Paypal outlining your order (please check your spam if this does not arrive). We endeavor to dispatch all orders within 48 hours after your order has been placed online or via email. The ‘ship to’ address we use is the one supplied to us through Paypal, so please ensure your address details are correct to avoid any confusion or delays. New Zealand shipments are made through NZ Post Ltd service and generally take 3-5 working days AFTER dispatch. Allow maximum of 5-7 working days for total delivery time frame. Worldwide shipments are made through NZ POST LTD – INTERNATIONAL AIR and generally take 5-10 working days. Please note this is not a tracked service therefore we cannot be held responsible for any lost parcels using this service. We are however more than happy to communicate with NZ Post should any issues arise. We are happy to look into any undelivered orders only after the specified delivery period has passed (5 working days within NZ). Deliveries may occur only Monday – Friday (excluding public holidays). PLEASE NOTE: All delivery time frames are estimated, we cannot guarantee delivery within this time frame due to unforeseen circumstances. SHIPPING TIMES MAY BE EXTENDED ON BULK ORDERS. PLEASE CONTACT US PRIOR TO PLACING YOUR ORDER IF IT IS URGENT! If you have any questions regarding shipping please use the contact link or email us on [email protected] as this is monitored on a regular basis. All purchases made through Simply Shopping NZ Ltd (SSNZ Ltd) are in New Zealand dollars. Our site is powered by Paypal therefore no credit card information is shared, kept or recorded by Paypal or Simply Shopping NZ Ltd. For more information regarding Paypal visit http://www.paypal.com. Simply Shopping NZ Ltd respects your right to privacy. We collect only the information necessary for us to complete your order or to contact to you regarding the status of your order. 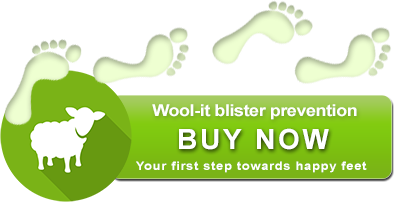 We guarantee the use of your personal information will only be used by the Simply Shopping NZ Ltd.
Wool-it will happily refund your money back if you are unhappy with the product. Please email us at [email protected] .co.nz with your bank account details and we will return your money. Please do not return the left-over Wool-it – give to a friend!